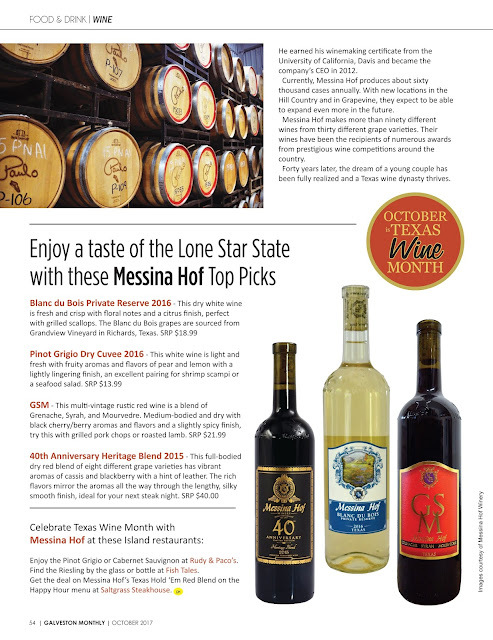 Texas celebrates Texas Wine Month every year in October. 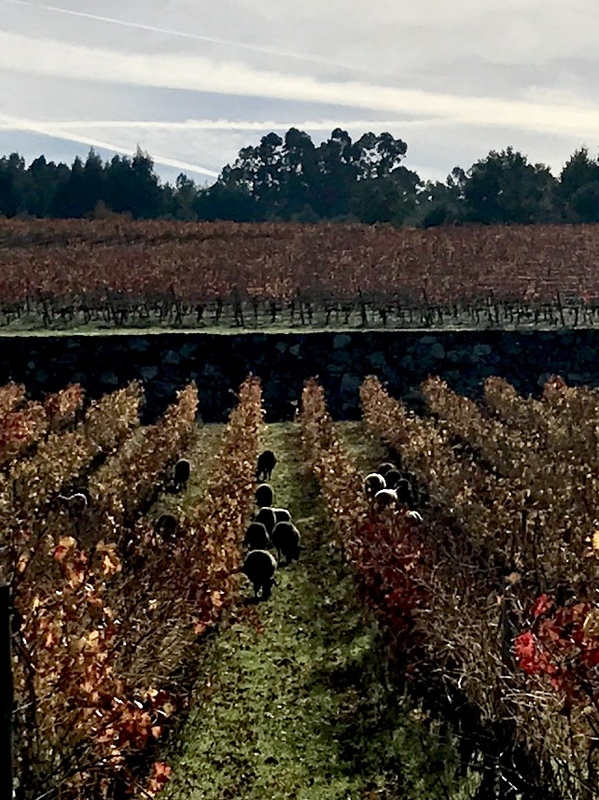 After tasting more than forty of the state's vinous offerings, here is my list of top picks that are currently available on each individual winery's website. 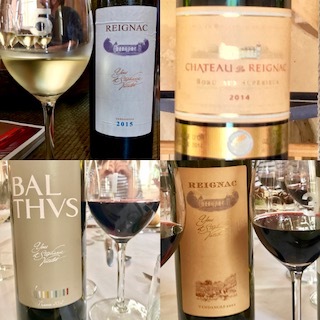 These are not just for October drinking, most of these wines are Thanksgiving friendly and would make great gifts for wine lovers for Christmas and beyond. 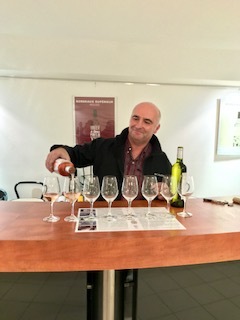 Four different single varietal white wines that are not only food friendly offering a range of pairing compatibility but that are also delicious for anytime sipping. Duchman Family Winery Trebbiano 2016 - Tropically refreshing with mouthwatering acidity, SRP $16. Fall Creek also makes a limited production and more expensive version of this white which is aged in French Oak and has rich tropical flavors and bakery notes, perfect for heavier meals, SRP $50. 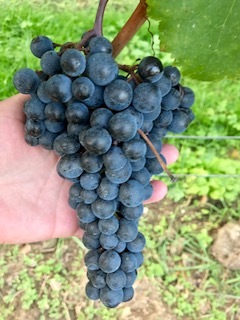 Interestingly, these were almost the exact same deep rose color due to the high amount of pigment in the grape skins this vintage. 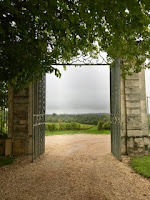 Past versions of the Spicewood rosé have looked Provencal while this vintage looked more like a Clairet. Both of these were a bit more structured than expected and will work well with the heavier foods of fall and winter, rosé season never really ends in Texas. Four different red varietals and three unique blends round out the list. While the Tannat screams for red meat or game, the others work well with pizza, pasta, roasted poultry and more. 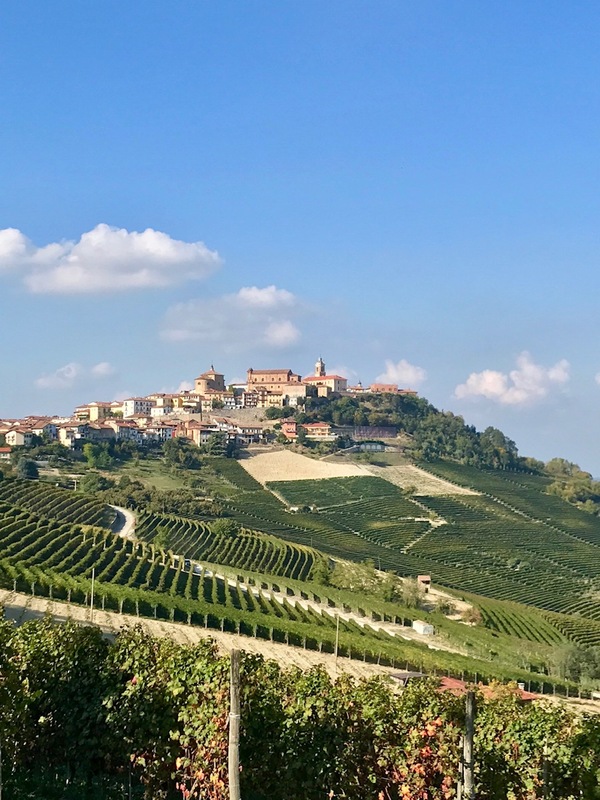 Duchman Family Winery Montelpulciano 2014 - Food friendly and easy-drinking with good acidity and moderate tannins, this medium body red has nuances of black plum, black cherry, baking spice and tobacco that last through the finish. Spicewood Vineyards High Plains Tempranillo 2015 - Fresh ripe mixed berry aromas and flavors, with a medium body, moderate tannins and a baking spice note that lingers through the persistantly fruity finish, SRP $23.99. My husband and I shared a bottle of this wine with dinner last month and I chose it for the list then. Last week, I had a taste of the Spicewood Vineyards Hill Country Estate Tempranillo 2014 which is also delicious but with a bigger structure, a more savory edge and a higher price tag, SRP $42.99. Wedding Oak Winery Regency Bridge, Texas Hill Country Red Wine 2015 - This blend of 42% Graciano, 39% Tempranillo, 16% Garnacha and 3% Tannat is bold and flavorful with black cherry, mulberry and wild raspberry with a bit of pink peppercorn in the fruit-filled finish, SRP $29. Bending Branch Mourvedre Reddy Vineyards, Texas High Plains 2014 - Energetic and fresh with ripe black currant, black pepper and eucalyptus in a medium body with smooth tannins and a slightly spicy finish, SRP $30. Bending Branch Texas Tannat 2014 - This full bodied red has a big, bold tannic structure with mouth-filling flavors of cranberry, tobacco and black pepper with a touch of cola in the generous finish, SRP $30. 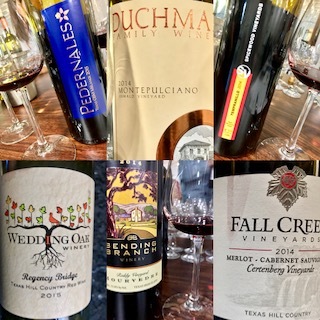 Fall Creek Vineyards Certenberg Vineyard, Texas Hill Country Merlot/Cabernet Sauvignon - Lush yet elegant with a full body and silky tannins with fresh red currant, red plum, forest floor and a bit of pencil box in the continuing finish. SRP $35. The Lone Star State's varied terroir supports a broad mix of grapes which allows for a wide range of wines to be produced. All of the above are highly recommended wines with which to get a true taste of Texas. 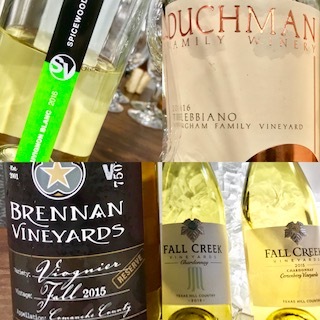 Honorable Mentions - McPherson Picpoul Blanc and Messina Hof Texas Pinot Grigio 2016, these two white wines were no longer available on their winery websites though you may still see them at retail shops and restaurants. Join their email lists to be apprised of the release of the next vintage. 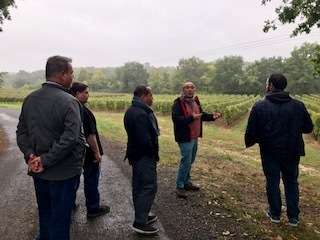 After a tour and tasting at Planet Bordeaux, the headquarters of the Bordeaux and Bordeaux Supérieur AOC Winemaker's Association, our group headed to Saint-Loubès to learn more about Château de Reignac. We were greeted by export manager, Marion Bechu, who along with the vineyard manager, Benjamin Fruquiere, toured us around the estate. 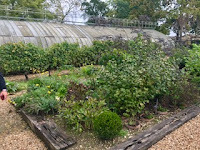 Like so much of Bordeaux, Château Reignac was significantly affected by the two heavy frosts in late April causing them to lose between 70-80% of the 2017 vintage while also pushing their harvest date back, the grapes were still hanging during our visit. 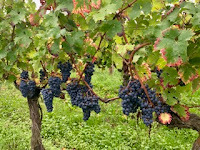 property has both the gravelly soils of the left bank which are ideal for Cabernet Sauvignon and the chalky clay soils of the right bank which are ideal for Merlot. The château was built in 17th century. 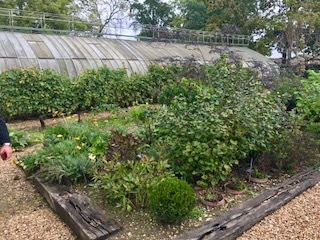 It got a nice upgrade two hundred years later when a greenhouse created by Gustave Eiffel was added to the property. 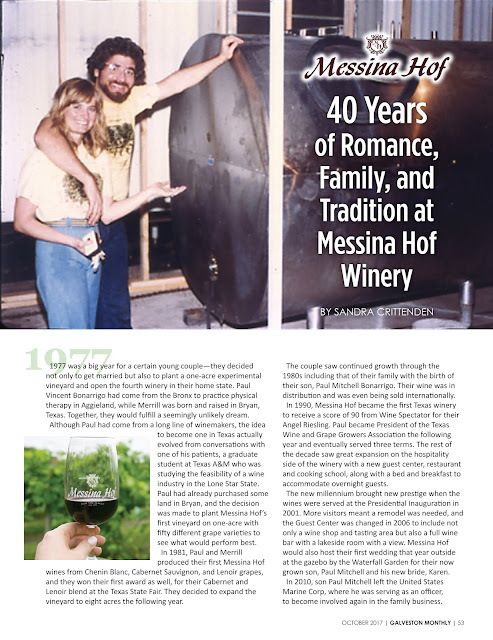 Yves and Stephanie Vatelot purchased the estate in 1990 and began a new stream of improvements including the addition of a lake, a remodel of the 16th century pigeon tower into a tasting room along with continuous environmental upgrades with the goal of becoming more sustainable and biodiverse. 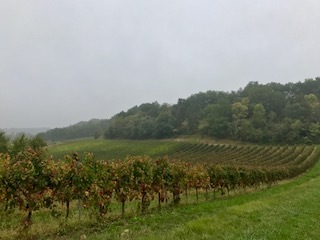 New measures taken range from adding a bamboo plantation to help clean winery waste to inviting local farmers to graze their sheep on the property through the winter. Château de Reignac is very easy for wine tourists to visit as well. 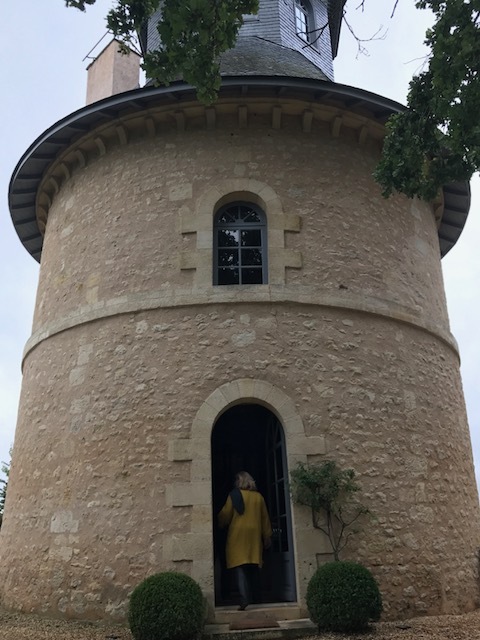 Their website lists multiple tasting experiences from the olfactory tour of wine aromas in the Scent Garden, to a multi-course lunch or a vertical tasting in the pigeon tower. 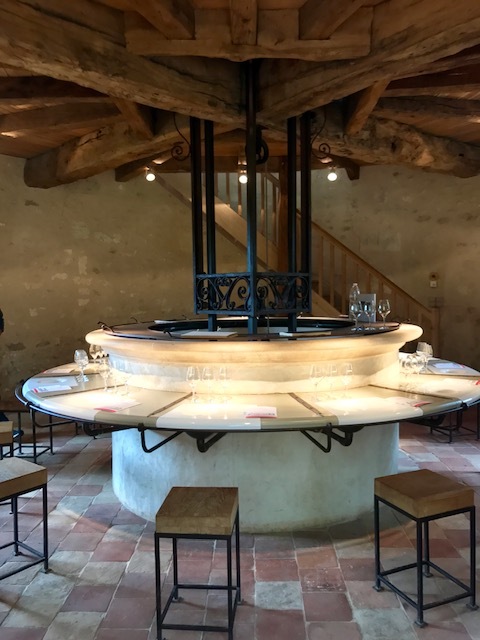 The pigeon tower tasting room features bird's eye views of the property at the top and a high tech tasting space below complete with a mechanized bar top which carries down the wine bottles elevator style for the final reveal. Our group ended the visit with lunch inside the château with owners, Yves and Stephanie Vatelot. 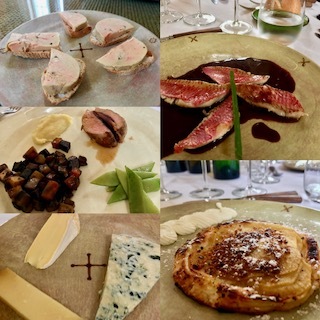 We savored some of the culinary delights offered up in the estate's food and wine experiences while we tasted through the current releases. with some Semilon and Sauvignon Gris sourced from their 2 ha plot planted on soils with large polished gravel, this wine is fresh and inviting with citrus and honeysuckle. Chateau de Reignac Bordeaux Supérieur 2014 - This is the second wine of the property, it is fruity, approachable and crowd pleasing. Grand Vin de Reignac Bordeaux 2012 - The estate's premium wine is a blend of 75% Merlot, 20% Cabernet Sauvignon and 5% Cabernet Franc sourced from the estate's best terroirs. Effusive aromas of blackberry, black cherry and dark chocolate with a hint of smoke, it is dry with good tannic structure and a rich chocolate cherry finish. Balthus 2012 - This limited production special cuvée is made from 100% Merlot sourced from 40 year old vines in a high density planted vineyard which is then fermented in new French oak barrels. Dry and fruity with ripe plum and raspberry aromas and lush flavors, silky tannins and a persistent rich chocolate-laced finish. Grand Vin de Reignac Bordeaux 2001- This older vintage of the estate's premium wine is very expressive with cassis and leather with dark berry and espresso flavors, it is dry, with velvety tannins and a light truffled note in the lingering finish. All of these wines are highly recommended. 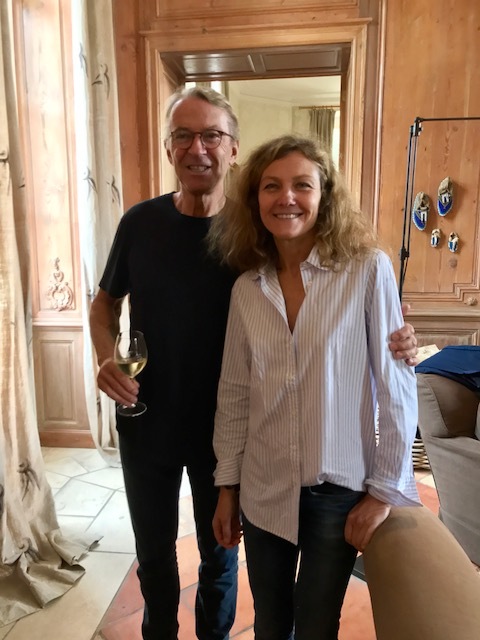 After a very full day, we arrived a bit late to our scheduled dinner visit at Château Freyneau with owners Eric and Valérie Maulin. My jet lag starts to make its presence known here, I somehow did not take photos of Eric cooking our beef course over vines or the dish prepared on the plate. I just ate it, it was delicious as was everything that they served us that evening. Third generation winemaker, Eric Maulin toured us through the winery while sharing tastes and stories along the way. 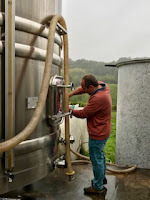 They make about 200,000 bottles annually, most of which being red wine. 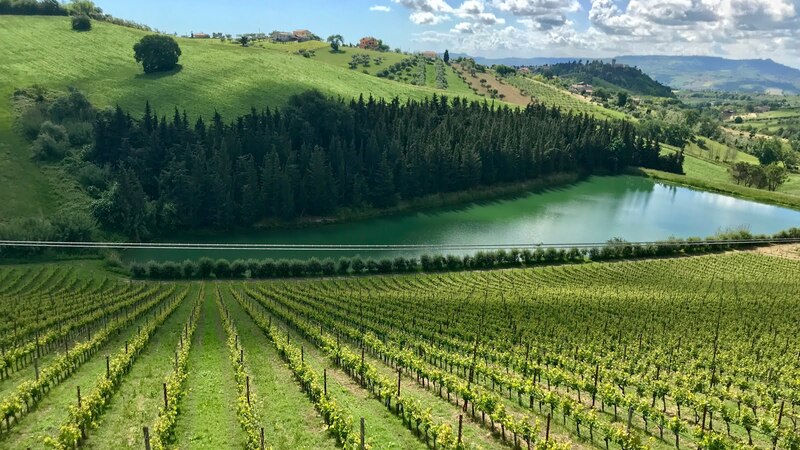 The 45 hectare family estate has been sustainably grown since 1992. 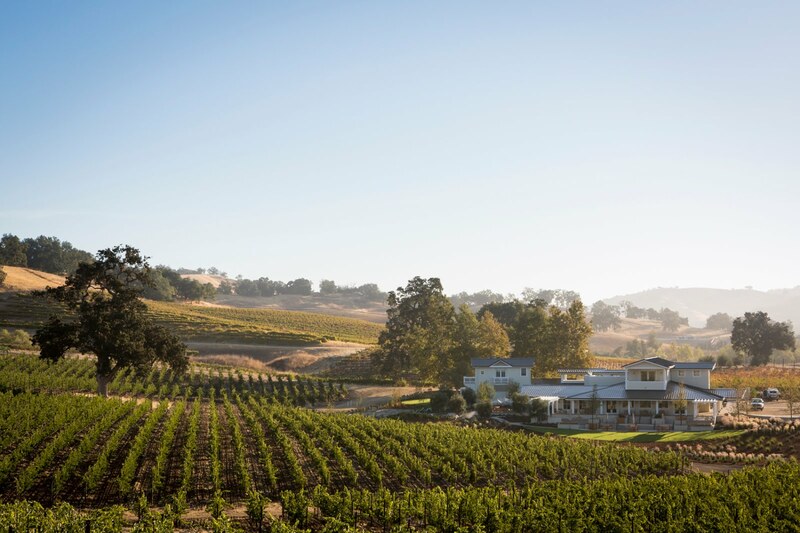 The soils are a mix of clay and limestone where he primarily grows Merlot but also has Cabernet Sauvignon, Cabernet Franc and Malbec. He only has 4 hectares of white grapes, most of which is Sauvignon Blanc. He also talked about how the landscape of his part of Bordeaux has been changing in recent years due to urban sprawl. The number of producers has significantly dropped with only a few estates left, the majority of which are fairly small. Château La Tuilerie Bordeaux Rosé 2016 - This refreshing blend of Merlot, Cabernet Sauvignon and Cabernet Franc has enough structure to enjoy with richer food but is also enjoyable to drink alone with its lingering red berry fruit finish. Château La Tuilerie Bordeaux Blanc 2015 - Primarily made from Sauvignon Blanc with some Semilon and Muscadelle, this wine is fresh, citrusy aromatic with a pleasant weight and texture. Château Freyneau Bordeaux Supérieur 2014 - This easy drinking blend of Merlot, Cabernet Sauvignon and Cabernet Franc is soft, red berry fruity and crowd friendly. 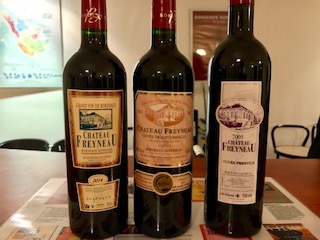 Château Freyneau Cuvée Traditionnelle Bordeaux Supérieur 2012 - This wine is chosen from the best tanks with a percentage aged in mostly neutral barrels for 16 months. This smooth blend of Merlot, Cabernet Sauvignon and Malbec shows ripe dark plums and berries playing nicely with forest floor and cocoa through the dry, velvety finish. Château Freyneau Cuvée Prestige Bordeaux Supérieur 2005 - This wine is only produced in exceptional years, it is sourced from the property's oldest vines and aged in new French oak barrels for a minimum of 16 months. Still surprisingly young after 12 years, this wine is a blend of Merlot, Cabernet Sauvignon and Malbec. It is dry, rich, elegant and complex with blackberry, plum, chocolate and tobacco mingling through the smooth, lingering finish. All of these wines are recommended. 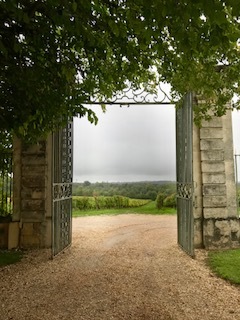 It was not the most beautiful day in Bordeaux as we headed out into the vineyard with Vincent Gauthier at Château Pertignas. Unlike our visit the previous day where the vines were still loaded with Merlot grapes, here we were viewing a just picked vineyard following the harvest. As we walked through the vineyard Gauthier discussed the difficulty he had with the 2017 vintage which was caused primarily by the heavy frost at the end of April. This weather hazard had significantly reduced his yields. 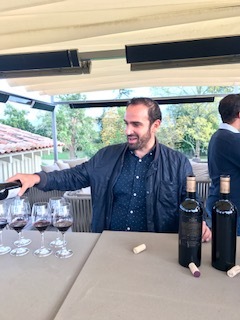 After the high quality and high quantity 2016 vintage, he is estimating that his production for 2017 will be about one-fifth of the previous year. He said he believes the quality of the surviving fruit to be quite good and ushered us to an outside tank for a taste of freshly fermenting Sauvignon Blanc which tasted of sweet citrus. We then headed inside for a tasting of the current releases. 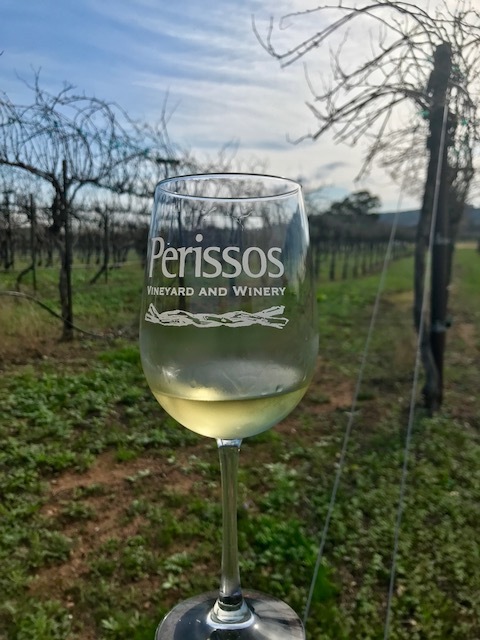 Pertignas en Blanc Priolet Bordeaux Blanc 2016 - This drink-now white wine is made from Sauvignon Blanc. 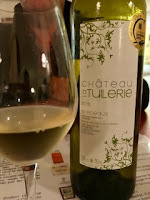 It is light, dry and aromatic with fresh citrus and a slightly bitter pithy note on the finish. Pertignas en Blanc La Borie Bordeaux Blanc Semillon 2014 - A more serious white with some aging ability, it is made from 100% Semillon from old vines which is then aged in neutral barrels. Rich and dry with honeyed aromas, juicy acidity and a lingering tropical finish. Rosé de Pertignas Bordeaux Rosé 2016 - This wine is made with 90% Cabernet Sauvignon and 10% Merlot. It is dry with fresh and fruity mixed berry aromas and mouth filling flavors. Chateau Pertignas Bordeaux Supérieur Cuvée Vin de Copains 2015 - A blend of 60% Merlot, 20% Carmenere and 20% Petit Verdot, this dry red wine is easy drinking, fruity, soft and round with a spicy finish. Gauthier recommended it be served slightly chilled. 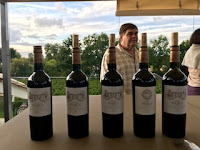 Chateau Pertignas Bordeaux Supérieur Cuvée Spéciale 2015 - This blend of 60% Cabernet Sauvignon and 40% Merlot is dry with ripe berry aromas and flavors, grippy tannins and a spicy note in the finish. 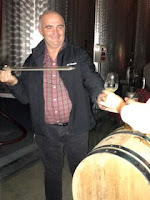 Chateau Pertignas Bordeaux Supérieur Cuvée Fût de Chêne 2014 - This wine is 55% Merlot and 45% Cabernet Sauvignon from old vines which is then aged in barrique. 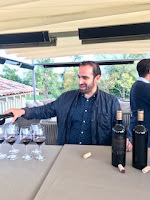 It is dry with velvety tannins, ripe aromas and rich flavors of plum and red berries with a bit of dried herbs and a mineral note in the lingering finish. 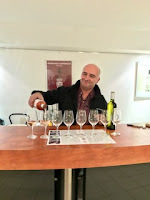 My favorites of the tasting were the La Borie Bordeaux Blanc Semillon and the Cuvée Fût de Chêne. I thought the Cuvée Vin de Copains served slightly chilled as suggested would be a delicious pairing with Texas barbecue. All six of these wines are recommended.